If you're far from an actual class — or if you're too busy to set aside a six-hour block of time — then defensive driving online may be the best way for you to go. Start and stop when you want, as often as you want. 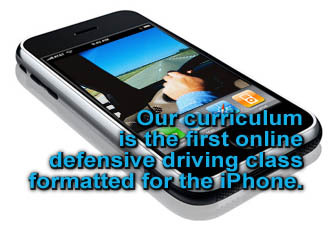 A Safer Driver has combined its experience with ComedyGuys.com ability to make people laugh to create a online defensive driving class that is informative and entertaining. If this sounds like the perfect solution for you, click here to sign up.